PINEDALE, Wyo. — The rancher from western Wyoming wears tan overalls pulled over a U.S. ski team jacket, and is every bit as versed in the nuances of hay farming as the subtleties of snow grooming. He doesn’t even ski for pleasure much anymore due to aching hips, yet the Olympic fates of Lindsey Vonn, Aksel Lund Svindal and many of the best speed skiers are directly tied to the handiwork of Tom Johnston , a no-nonsense cowboy who spends his days toiling among hay bales on nearly 1,800 acres of leased fields near his home in Boulder, Wyoming (population: 170ish). Johnston also just happens to be one of the world’s foremost experts on shaping a race course , most notably the downhill and super-G tracks that Vonn, Svindal and the rest will zoom down in February in South Korea. 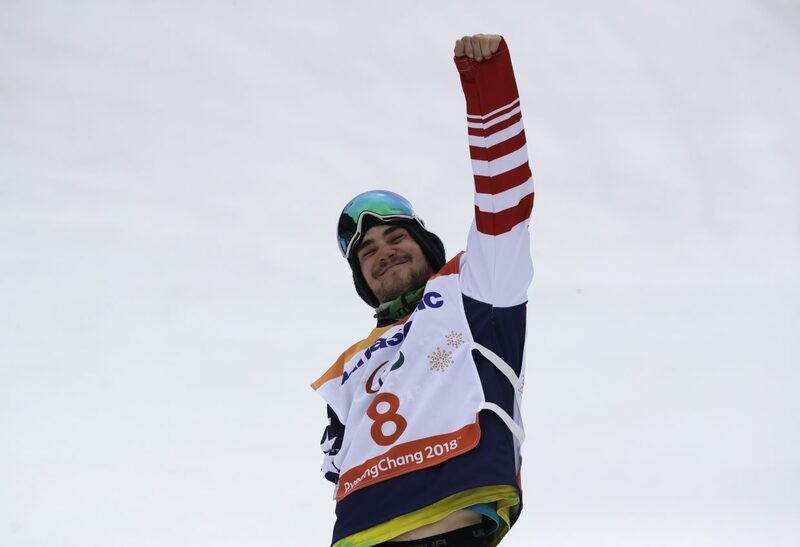 Every tooth-rattling bump and knee-buckling jump on the Pyeongchang course will have been exhaustively groomed by Johnston and his crew, whose goal, in ski parlance, is to create “hero snow” — the grippy surface on which these world-class speedsters can confidently push the envelope. Johnston has six weather websites loaded onto his phone — including one from South Korea to keep current on conditions — and views them so often that his wife Cassy recently had to increase their phone’s data plan. He likes to give off a gruff first impression — “I really don’t have time for all these interviews,” he lamented — but, during a leisurely tour of the properties he oversees, it’s clear he’s something far removed from acerbic. He’s proud of every parcel of this land. Here lies some of the most sought-after alfalfa in the county. On the other side of a dirt road bordered by badger holes, he shows off his laser-leveled land that produces various classes of hay. They’re meticulously planned out so water doesn’t gather and ruin the consistency of the crop. 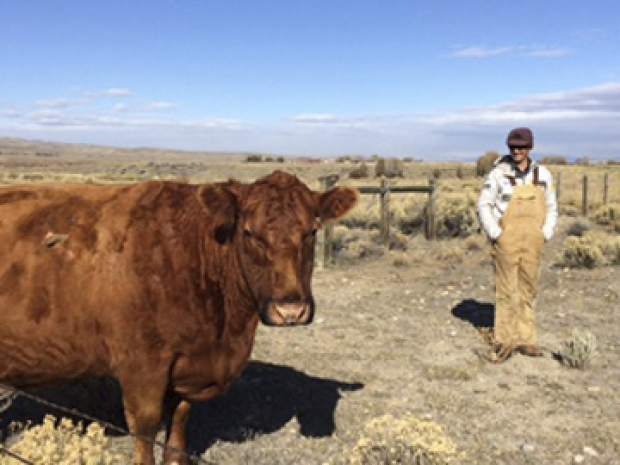 Across the two-lane highway, reside his roughly 125 head of Red Angus cattle. On the horizon, the mountain range. 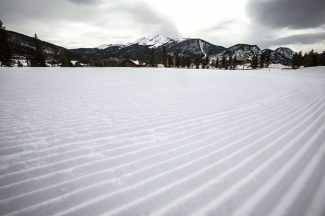 His life used to be a cycle: haying in the summer and, when it turned colder, heading up to Jackson Hole mountain resort so he could coach and direct events the ski club produced. Johnston’s family would follow him there — until the three kids reached school age. He eventually just pulled along a camper or stayed at a cheap place for a few nights before making the 80-mileish drive home. Back then, Johnston was sometimes spotted wearing a jacket with these words embroidered on the back: “I’d Rather Be Haying.” He honed his craft at Jackson Hole — becoming a course-shaping artist who would water the slopes in extremely cold temperatures to create an icy surface that would hold up from the first racer all the way to the last. In 1998, the U.S. ski team contracted with the local organizing committee for nationals. 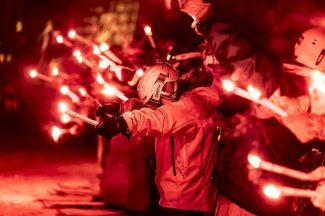 As director of Alpine events with the ski club, it was his show. Johnston’s twists and turns were a hit, along with his organizational skills. Soon after, he became a technical adviser for the U.S. team. He credits Tim “Swampy” LaMarche, his predecessor and another course guru, for teaching him the ins and outs of the profession. It’s all been trial by error, too. Johnston was chief for the women’s speed events at the 2002 Salt Lake City Olympics and ran the show for the women’s side at the 2014 Sochi Games. He’s known for his aggressive and durable snow, which is precisely the way racers like it. His preference is making it with a snow gun instead of letting Mother Nature do the work. He prepared the World Cup course for the women in Killington, Vermont, last month and lent a hand at the World Cup stop in Beaver Creek, Colorado, which is one of the racers’ favorite venues on the circuit. In South Korea, Johnston’s main tasks include: Build and maintain the snow surface, including the macro features such as jumps and rolls, manage the snowcat operators and installation of safety features. His aim is to help Russi’s downhill design spring to life. 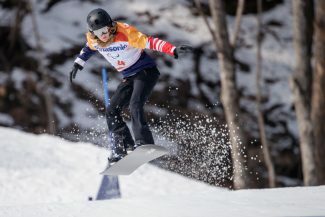 The men’s and women’s downhill tracks vary only slightly, with the men starting at a higher spot and diverging at one point through a narrow gully before merging again. Along the way, there will be four major jumps, which have been modified since a test event held at the site nearly two years ago. The changes should provide smoother, safer landings for the skiers who will be traveling around 80 mph (128.7 kph). On his farm two months ago, Johnston was worrying more about his hay crop than the ski slope after a quick visit to South Korea for course inspection. There was a snow storm about to blow through and he still had to stack 200 tons of hay. His wife — who works as a dental hygienist and helps in the fields in the afternoon — was driving a truck to haul the bales, while two more workers pitched in. They were up until 1:30 a.m. to accomplish the feat. It snowed three hours later. Tom and Cassy met at the Green Mountain Valley ski school in Vermont as teenagers and got married in 1986. She occasionally travels with him to races, where he’s been known to ride with the snowcat operators at night as they groom the course or sleep with a radio next to his pillow so he can hear the chatter of those working on his hill. Quality speed courses and hay are his pride and joy, and they have more in common than you might think. Both take attention to detail. Both depend on Mother Nature. Neither can ever be perfect. Not that he’ll ever stop trying. “I get really fussy with every element,” said Johnston, a former racer at Montana State and Whitman College in Washington, where he earned his degree in English literature. “The guys that hay for me, my wife, it drives them crazy. I’ve never put up a good hay bale, because there’s always this wrong with it or that wrong with it. Same with a course. “But give me good weather and it will be a good course,” he said.